There are few pieces of theatre that I wait so agonisingly for, and very few that then live up to my insanely high expectations. Fun Home, a musical based on the autobiographical graphic novel of the same name (or ‘tragicomic’ as termed by its creator Alison Bechdel), is one of these rare shows. Brought to life in the Young Vic by director Sam Gold, this show is the standout piece of the season, and most definitely the year too. Fun Home details the life of Alison Bechdel told non-linearly by herself at three crucial stages; growing up in the family home, moving to college and creating the graphic novel in her forties. The show touches on her family relationships, particularly with her father, as she discovers her sexuality and explores her feelings for women. I challenge you to find a more profound piece of theatre this year. This carefully crafted show is truly beautiful – aesthetically, musically and intellectually. What Jeanine Tesori (music) and Lisa Kron (book and lyrics) have managed to do is take a very specific life story and make it unequivocally relatable to everyone in some way. You don’t have to be a lesbian to appreciate the joy of Alison’s first sexual experience, and you don’t need to have grown up in the family funeral home with a closeted father to understand that family life is not always plain sailing. It’s a production that shows human life, in whatever uncommon form, as normal – the random memories of Alison’s life woven together effortlessly to express struggle, confusion and heartbreak in a way we can all access and discern. It’s remarkable – all set to a soundtrack of pastiche, perfectly matched musical moments, from the daringly funny and perky ‘Fun Home‘ funeral advert to the chillingly heart-rending final conflicting moments of her father. Superb set design and the fine detail of period costuming from David Zinn is carefully used to heighten the emotion of Alison’s flashbacks at the right moments. The cast shine not only individually but as a group; a group of the most emotionally assured actors and actresses I have seen in a musical in a long time. There is not one weak link, led by a formidable trio of Alisons. Kaisa Hammarlund (older Alison) guides the piece perfectly, leaving her mark with a tragic final moment with her father in a stunning rendition of Telephone Wire. Medium Alison, Eleanor Kane, freshly graduated would you believe – not with this infallible performance – takes the difficult task of portraying sexual realisation and executes with ease. Brooke Haynes playing Small Alison, shows maturity beyond her years particularly in Ring of Keys, clearly understanding and illustrating child-like innocence through some sophisticated themes. Zubin Varla, Bruce (Alison’s father), has pitched his role perfectly (and I’m not ashamed to say was the reason I broke down into tears). Zubin provides an agonisingly sad portrayal of the character’s disintegration from the together, businesslike Bruce to the mentally unstable father in his final moments. Jenna Russell depicts the perfectly placid wife who knows all, and comes into her own with her final song, Days and Days. The show may not appear as fun as it’s title, but it is essential viewing for anyone and everyone. It is funny at points, yet beautiful, bold and true. Individually touching yet universal. This accomplished piece deserves every accolade as it presents an emotional journey of acceptance and the search for understanding that we can all relate to. Limited tickets are still available for Fun Home, which runs at the Young Vic until Saturday 1st September. Purchase directly from the theatre online. DID YOU LIKE THIS POST? 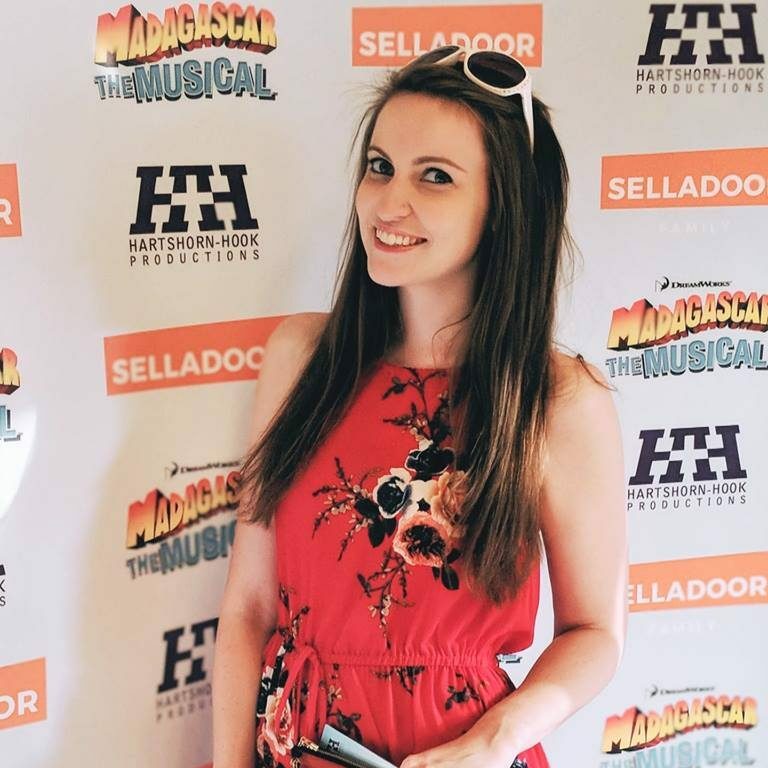 FOLLOW ME ON SOCIAL SO YOU CAN GET ACCESS TO MORE STAGEY REVIEWS!